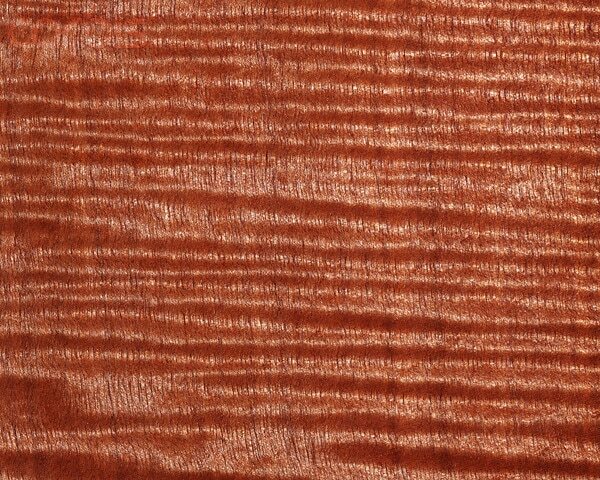 Makore tends to be a shimmery pinkish-brown. Makore has a high silica content that dulls cutting edges stupid fast. This high silica content is what gives Makore is signature shimmer. So it is definitely a love hate relationship. Makore can show a wide variety of figures and curl which is only enhanced by the high silica content. 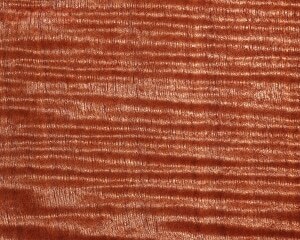 When polished this is one of the most beautiful African woods available.